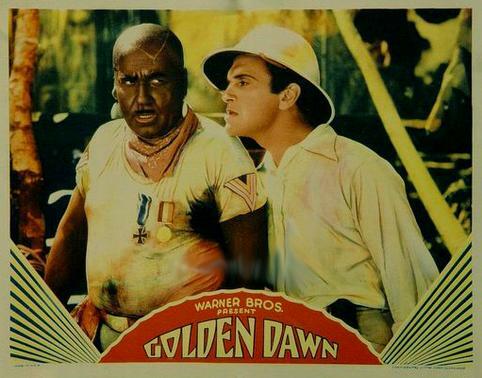 In 1930 Warner Brothers released the film adaptation of the Rodgers and Hammerstein operetta “Golden Dawn.” Set in a German prisoner of war camp in African during World War I, the film involved captors, captives, native uprisings, a song entitled “Hymn to Domestic Violence,” a male lead in black face, and the potential sacrifice of the beautiful blonde to a native god. In short, a movie that perhaps would drive anyone to drink. Well, almost anyone. It seems the creator of the drink named after the aforementioned film was indeed a teetotaler. Not looking so good on this drink yet, huh? Stay with me. Thomas Buttery was the head barman of London’s Berkeley Hotel and a member of the United Kingdom Bartenders’ Guild (UKBG). 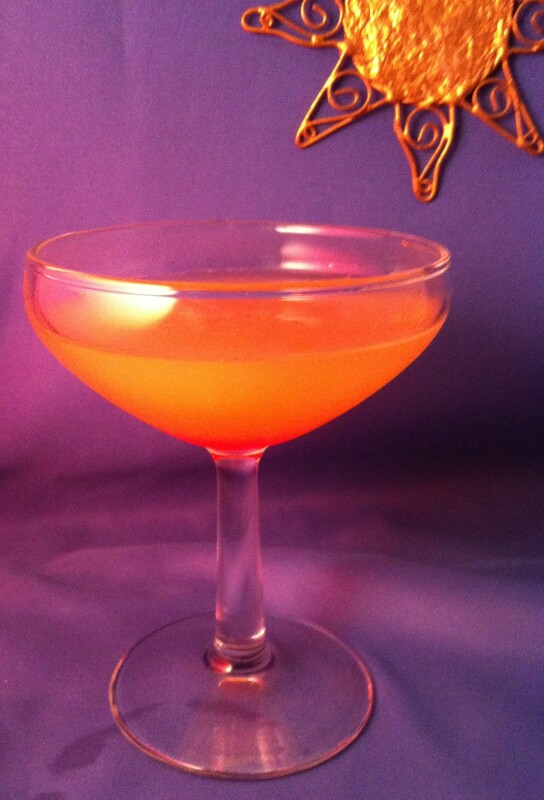 The drink, Golden Dawn, far exceeded the artistic limits of its namesake film and the drinking capacity of its author. In fact, in 1930 it was judged to be the “World’s Finest Cocktail” in a UKBG contest. Now we are getting somewhere. The UKBG enjoyed great success throughout Prohibition, throwing away many of the traditional “rules” followed by the Americans during that period. They adopted a more freewheeling style experimenting in flavors, colors, fruits and spirits. The Golden Dawn is a perfect example of the play on color. Presentation plays an important part in cocktails, as seen through various garnishes, glassware, and in carefully stirring a drink rather than shaking so as to achieve a shimmering clear liquid. The Golden Dawn relies on vibrant colors beautifully layered to represent a sunrise. The addition of the pomegranate grenadine is more for the layering effect than a change in flavor. As for the flavor itself, this is a sweet drink. The citrus of the orange juice certainly helps balance the drink, but adds more of a sweet element than a lemon or lime choice. While the original recipe calls for equal parts, we played with an increased ratio of the gin and Calvados to enjoy a stronger spirits flavor and cut the sweetness. You may also want to experiment with different gins. Try comparing a dry, smooth Plymouth with a Hendricks or Junipero, for instance. It will always be a sweet drink, but adjustments to the gin and Calvados may help you find a common ground. Combine the first four ingredients in an iced cocktail shaker. Shake “like crazy” and strain into a cocktail glass. Drop a stemless cherry in the bottom of the glass (with no pick) for garnish. Dribble a bit of pomegranate grenadine through the drink and allow to fall. Do not stir!